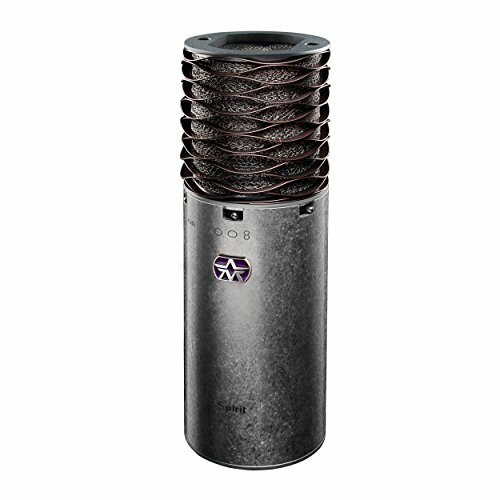 The Aston SPIRIT is a high-performance, switchable pattern, microphone utilizing a 1” gold evaporated capsule. A switch on the mic body selects from Omni, Cardioid or Figure-of-Eight polar patterns. It is versatile enough to use with most instruments and excels on acoustic guitar and vocals. Its hand-selected capsule is teamed with high-end transformer balanced circuitry using only the best components. The Spirit is designed to deliver a beautifully open sound with sparkling harmonics. This highly accurate microphone gives a stunningly natural and transparent recording, capturing all the detail in the high range but without adding the harshness that some condenser microphones seem to. If you have any questions about this product by Aston Microphones, contact us by completing and submitting the form below. If you are looking for a specif part number, please include it with your message.